Longtime Los Angeles Dodgers manager Tommy Lasorda was met with boos on Thursday in San Francisco as he was being honored for his service in World War II. During ceremonies before the second game of the World Series between the San Francisco Giants and the Detroit Tigers, Lasorda along with former Yankee Jerry Coleman and sportscaster Bob Wolff were acknowledged for their service in the armed forces. 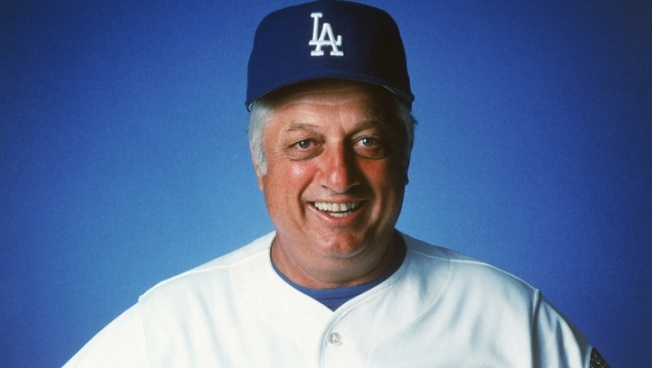 The 85-year-old Lasorda served in one capacity or another with the Brooklyn/LA Dodgers for some six decades. There is a tradition of booing Lasorda whenever he makes an appearance in San Francisco. It goes back to when it was the Dodgers manager. He seemed to chuckle a bit when he heard the boos, but fans watching the game on their television across the country took to social media to share their reactions. Read some of them below.